Max. Output Current: * This battery actual output current depends the demands from powered device and is variable. It can by any number under rated Maximum current. Note: There are many different ways to rate a battery capacity on market. 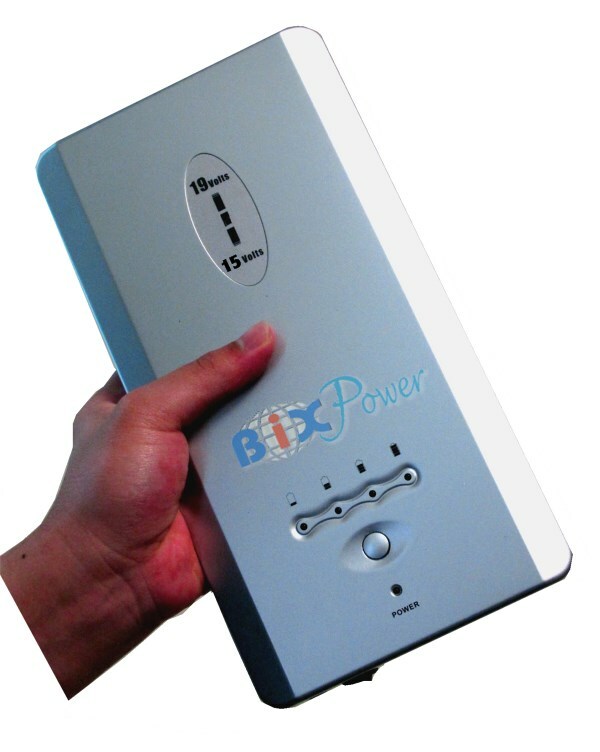 159 Watt-Hour Capacity is equivalent to 44100mAh if rated as most external batteries on market. 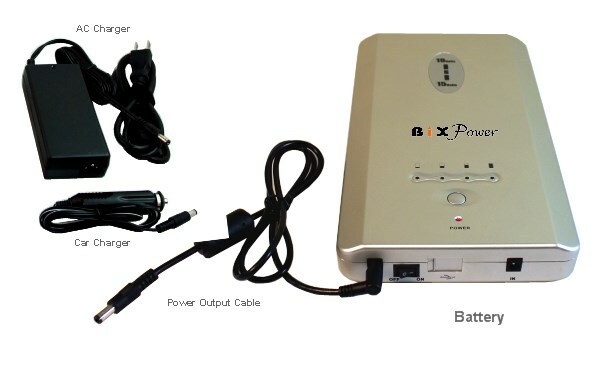 Battery Capacity Rating: Watt-Hour, or Wh, is a more accurate unit to show the power capacity than Amp-. Hour (Ah) that was used before. 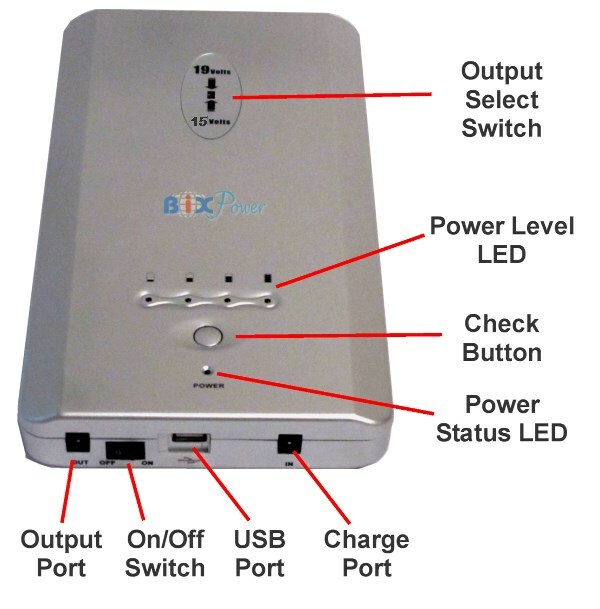 The Watt-Hour unit means the wattage that the battery can provide within one hour. 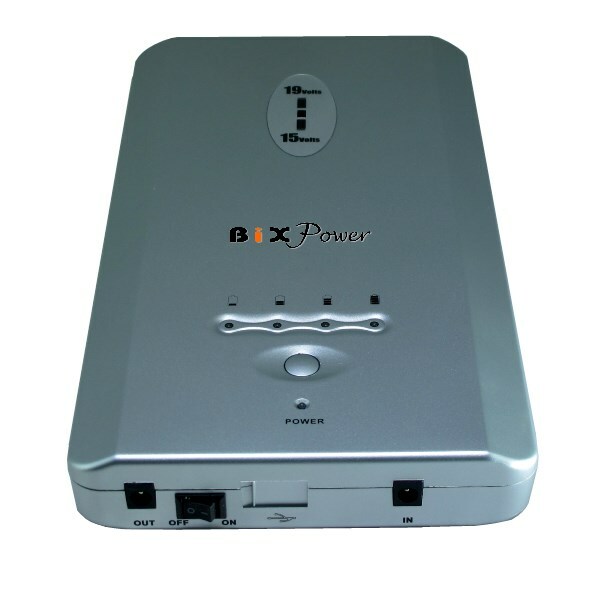 159 Watt-hour (Wh) capacity means the battery can theoretically last 10 hours if the device it powered only needs 15.9 Watt power. A typical 6-cell internal notebook battery capacity is about 49 Watt-hour. 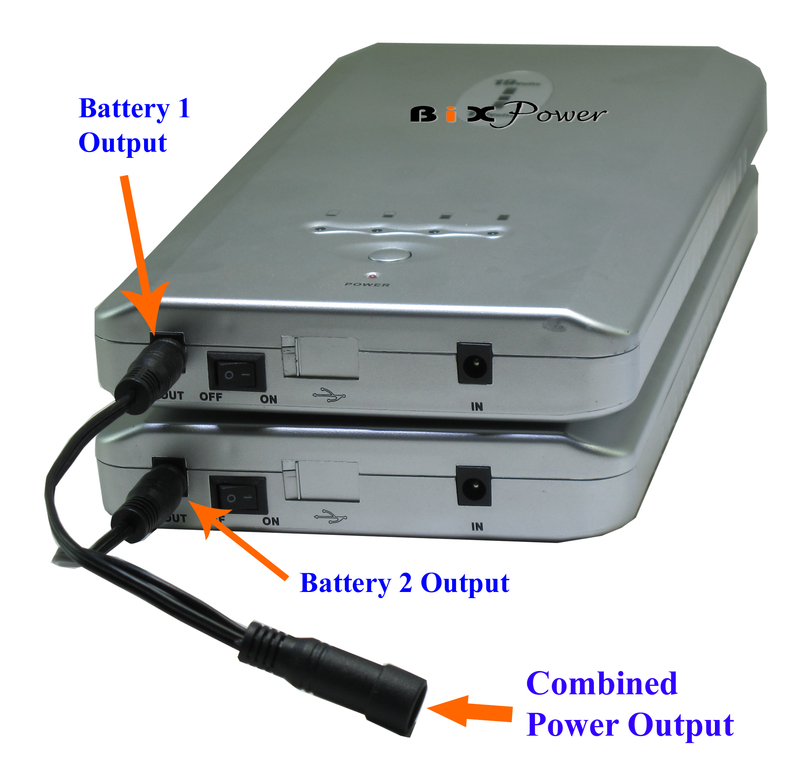 A typical 12-cell internal notebook battery capacity is about 98 Watt-hour. 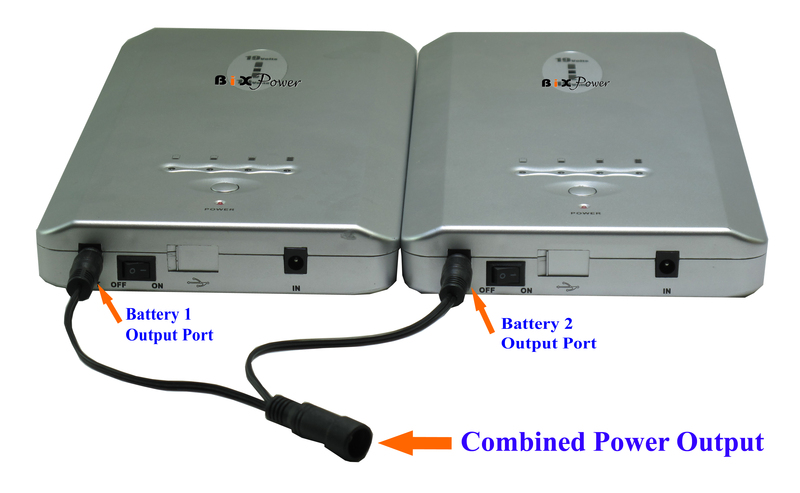 This battery has specially designed to be able to charge and discharge at same time. 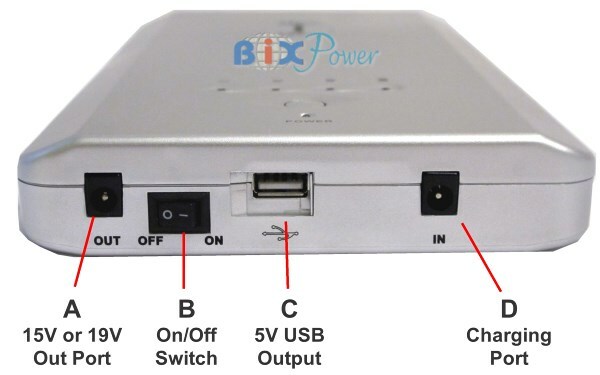 However, since each lithium battery has limited charge/discharge cycles ( around 500 times), it is not recommend to use the battery when AC power is available. 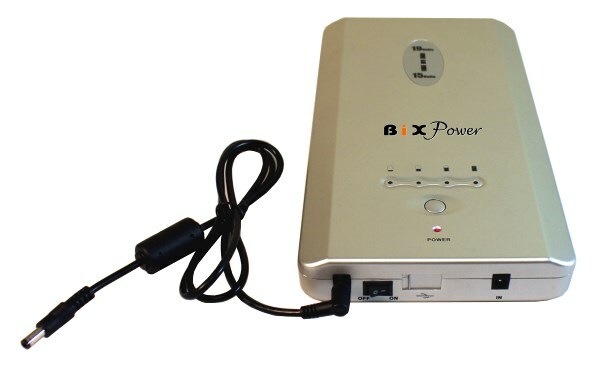 If the Z6 cable connector does not fit your laptop notebook computers, you can use BiXPower C series connector tips to change it to many different connector tips. 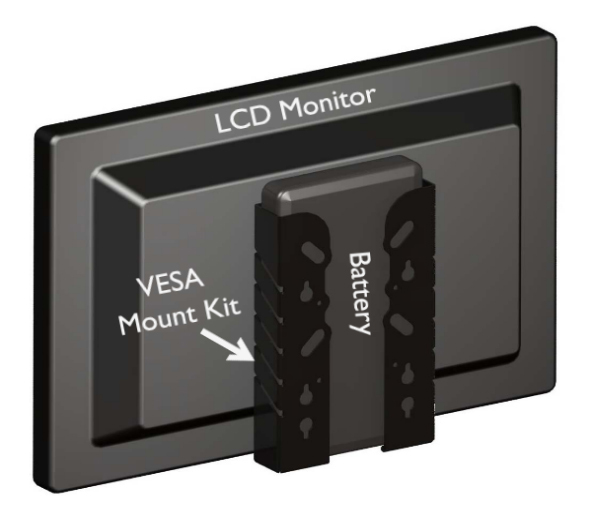 C series connector tips may need to purchase separately.